To use Comedy to Entertain, Encourage, and Evangelize. We are a non-profit 501-C-3 that wants to give Christians, who has a desire to reach people for Christ, an opportunity to invest in God’s work by sponsoring and supporting Comedy Crusades around the Nation and the World. Our Goal is to reach unbelievers for Christ; Encourage the brothers and sisters in Christ and provide an outlet for Christians to laugh and be entertained without the vulgar jokes and dirty humor that is bombarding us. Produce International Comedy Crusades in countries such as India, Israel, Canada, New Zealand, and several countries in Africa. Nazareth was born in the Holy Land. At the age of 3, he moved to Kuwait and then finally arrived to the US, legally, in 1984. 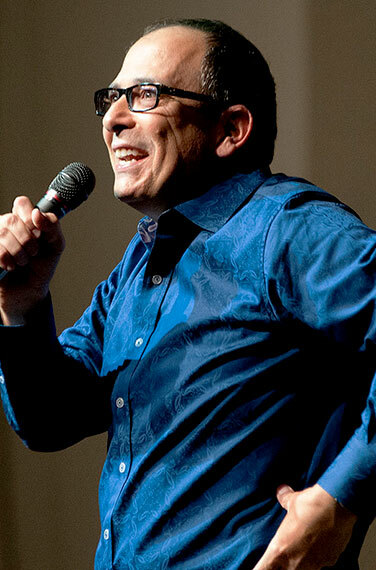 His inspirational comedy has reached millions on television broadcasts as varied on Comedy Central, ABC Family, and the NBC Nightly What People Say. With over 3500 performances to his credit, Nazareth had the privilege of performing at thefamous Grand Ole Opry in Nashville, Tennessee; The Notre Dame Concert Hall; The Sports Dome in Rockford, IL and in many other stadiums and sports arenas. His Television interviews have been aired and continue to air on TBN, Sat 7, and JCTV. The New York Times reports on one his tours: “The show had the audience convulsing.” Nazareth worked with Mr. B.B. King, Tim Conway, The Righteous Brothers and the Temptations. 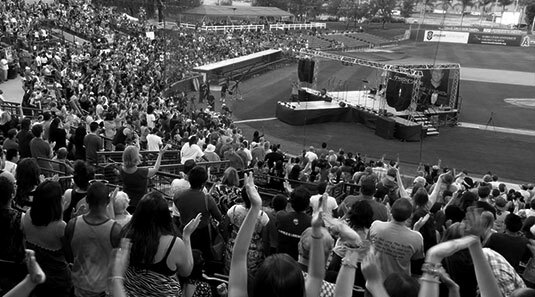 Nazareth performed at most of the major Christian Festivals around the US and Canada. He has served churches like Saddleback Church with Rick Warren, Shadow Mountain Church with Dr. David Jeremiah, and many mega-churches around the World. Nazareth has been involved with ministries such as Prison Fellowship with Chuck Colson, Youth for Christ, and the Salvation Army. He is the co-founder and leads a ministry that reaches thousands of Muslim refugees in Southern California with the love of Christ. Best selling Author Josh McDowell calls Nazareth Insightful and refreshing. Senator and ex-Governor of Georgia, Mr. Zell Miller says that Nazareth makes you laugh and think. Nazareth speaks, nationally and internationally, at conferences, camps, churches, and prisons. He is the co-founder and president of Comedy Crusade, a ministry that provides Christian leaders with professional Christian comedians. In 2011 Nazareth entertained the American Troops at Ramstein Air force Base in Germany as well as visiting the Wounded Warriors Hospital there. Beyond the stage, Nazareth and his wife of sixteen years, and their three young children reside in Southern California. With all his accomplishments, Nazareth insists that his biggest credit is that he’s a husband and a father. Jeff Rajcic owns and operates a family chain of Educational Supply Stores in Southern California. He is a leading authority on classroom materials for schools, teachers, and parents. He is married with four children and four grandchildren. He serves as a community leader and mentor to other business owners in the Inland Empire. Michael W. Reagor is an attorney in private practice in Denver, Colorado with Dymond Reagor, PLLC. 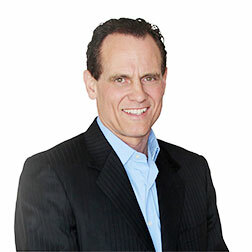 Mr. Reagor has been a successful litigator and transactional attorney for over 23 years. His practice is focused in the areas of trust and estate planning and administration; probate and fiduciary litigation; business law; intellectual property law; nonprofit law; and entertainment law. Mr. Reagor has the privilege of serving many faith-based clients doing good for the Kingdom. 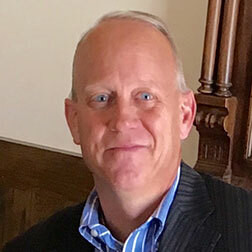 Mr. Reagor serves on numerous other charitable boards. Pastor Mike is the former Executive Pastor of two mega-churches in US. His visits to the Holy Land have spanned over 30 years. 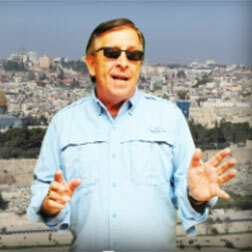 He will be teaching at each Biblical site using his University training and archeological passion. He has organized and led multiple trips to the Holy Land. Each experience for ETB has been designed to enrich the lives of each traveler and those he meets in-country.